If you haven't seen the anime or read the manga before you watch this, you should go for them first, simply because the Live-Action series starts off much differently. Light's character has also changed, with him working in a restaurant and wanting to live a steady life. His encounter with the Shinigami (Death God) Ryuk and the Death Note are also different, as Ryuk sees Light and drops the Death Note behind him. These differences you see at the start may not be to the liking of fans of the anime/manga, as they show Light as a student who prefers to keep himself to himself and meets Ryuk after getting a hold of the Death Note. The story does progress quite quickly once Light meets Ryuk, bringing other moments into play when he becomes used to using the Death Note and sticks to main parts of the plot , such as the frequent deaths of criminals by heart attack with Light's father being the one leading the investigation into the mysterious killings, Misa becoming a supporter of Kira, and L's initial stand-off with Kira. It shows that though the story is being changed around, it does not fail to keep the moments that make the story what it is and keeps the title of Death Note close to its heart. 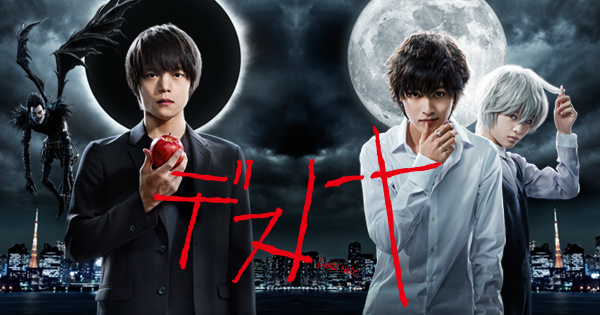 Even though it is somewhat different to the main story line, the drama is still something worth watching - by taking a different route, it brings something fresh to the table and is just as worthy as watching (and this can't be said about everything). And by keeping close to some key moments in the story, it will surely head for the same destination as that of the movies and the anime.